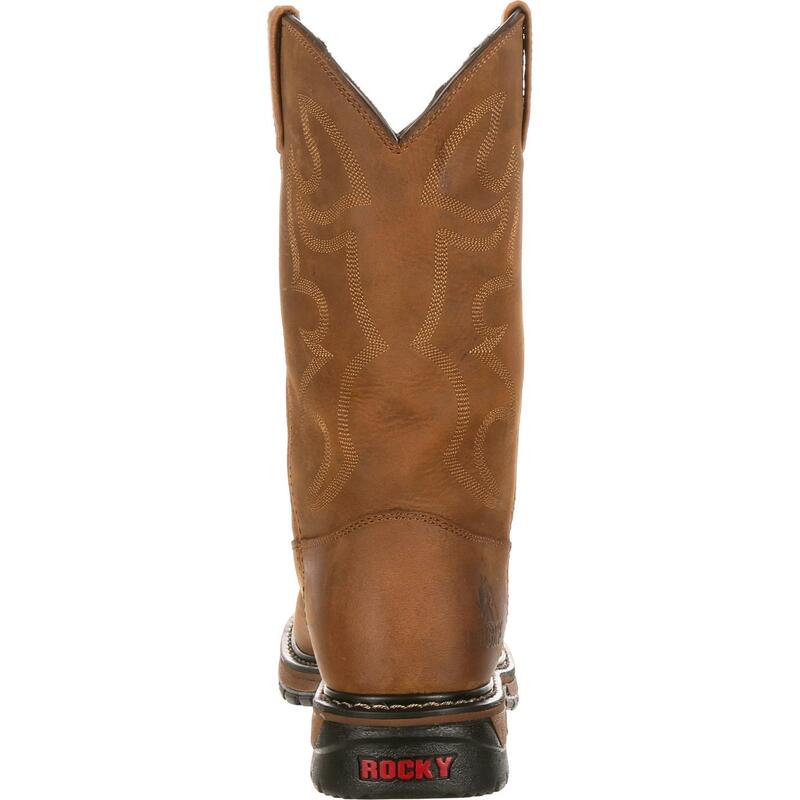 This Rocky® Men's Original Ride Pull-On Waterproof Western Boot is comprised of the 8-layer Rocky Ride Comfort System; this assures that these cowboy boots have great durability, provide comfort and give you stability. 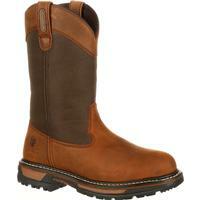 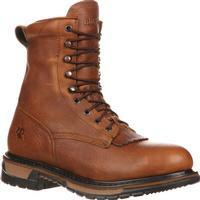 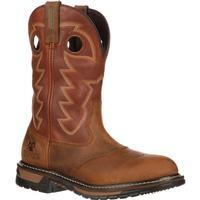 Durability comes from the boot's hardy full-grain leather and its welt construction. 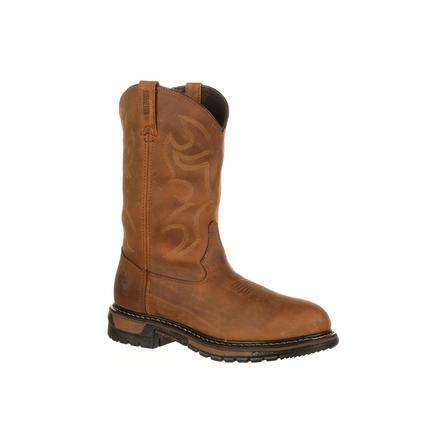 And it's easy to get into this rugged-looking men's western work boot because it's built with a dipped topline and sturdy pull straps. 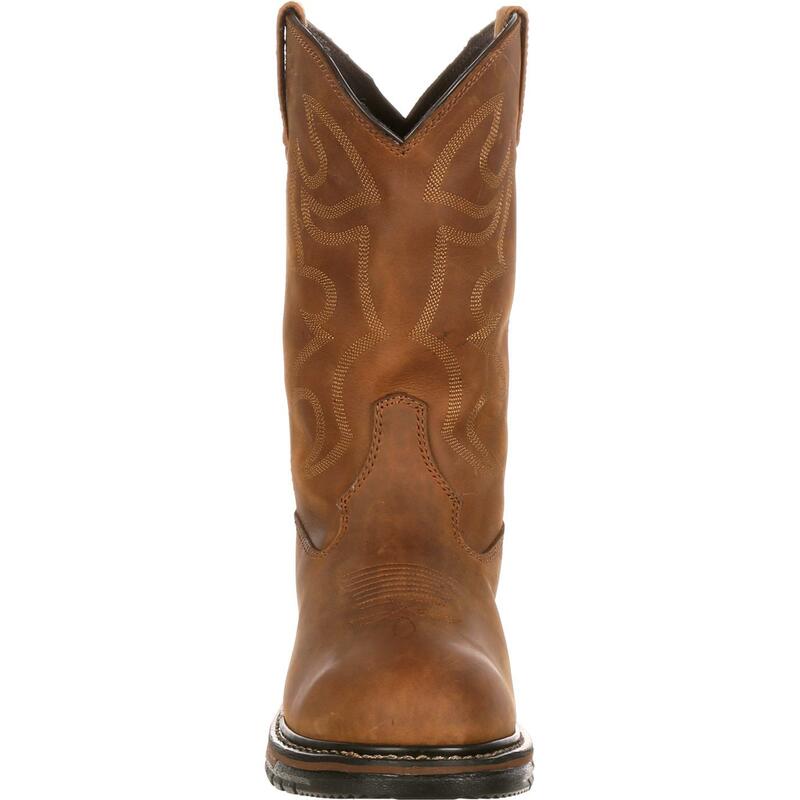 As soon as you pull on this men's western boot, you'll like the soft leather lining. 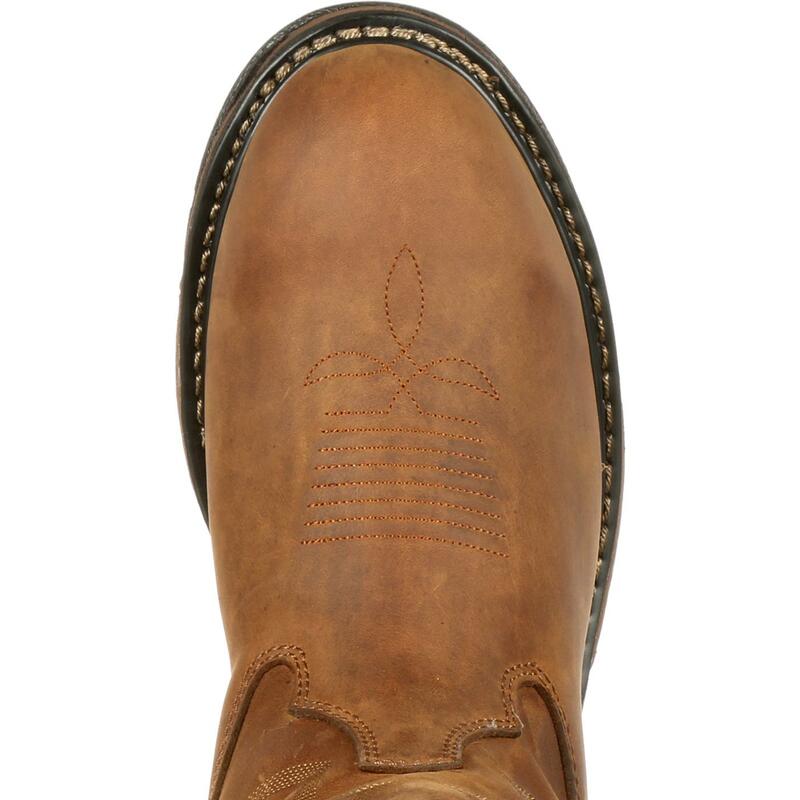 The polyurethane-made Ride footbed is extremely comfortable, plus it's removable so you can always add in another insole. 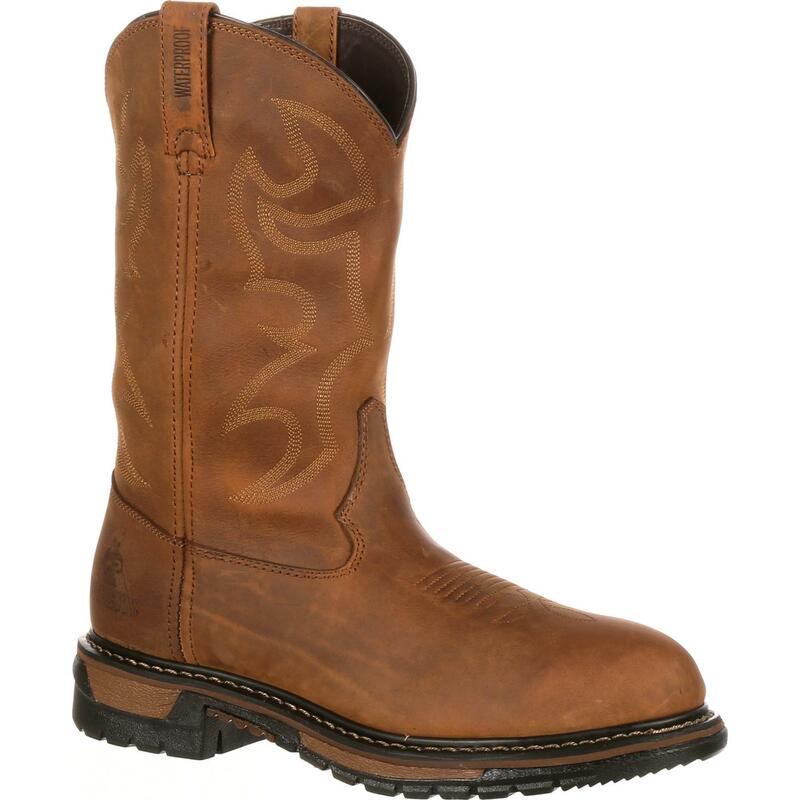 To ensure that your feet remain dry and comfortable while you're wearing this comfortable cowboy boot, this Western is built with Rocky Waterproof Construction. 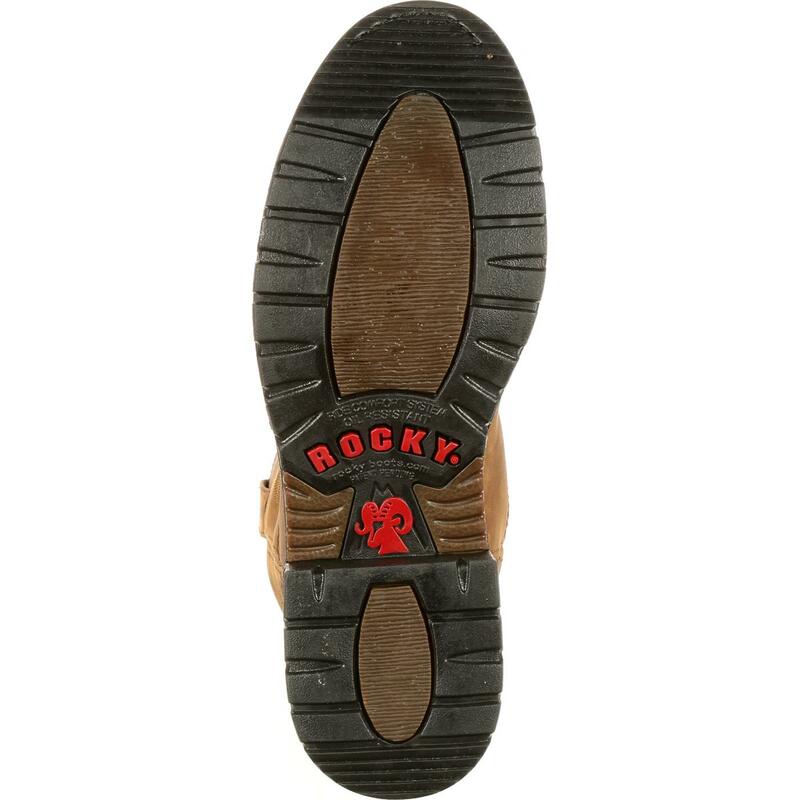 Having a tempered steel shank built into this footwear allows you to have steady footing, plus it provides support to the arches of your feet. 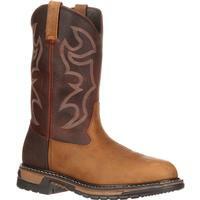 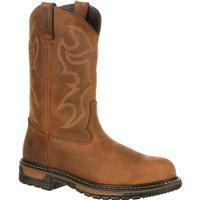 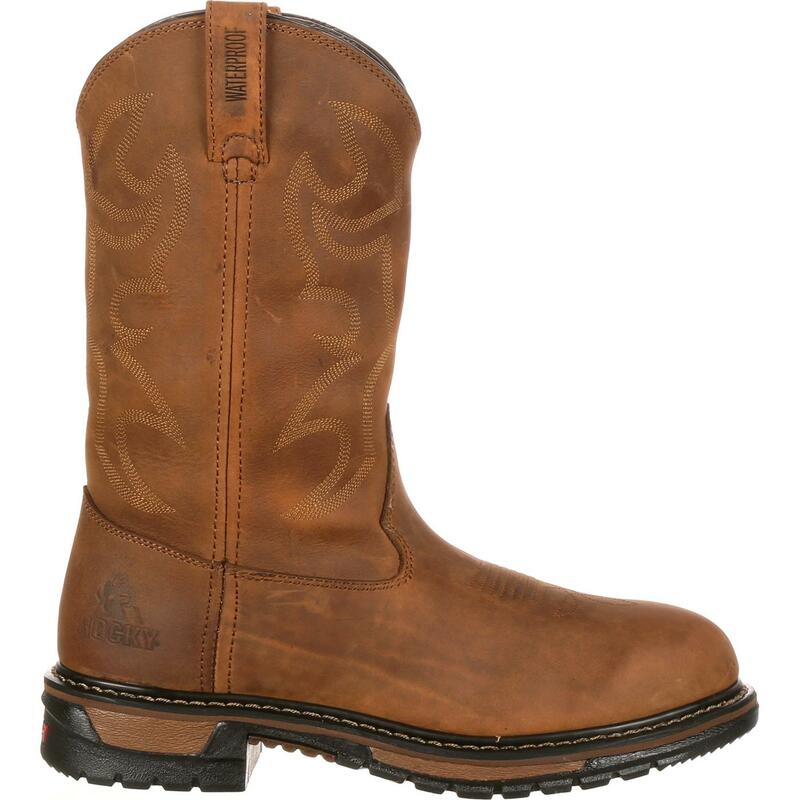 On the bottom of this waterproof cowboy boot, the rubber outsole supplies great traction and it's oil-resistant. 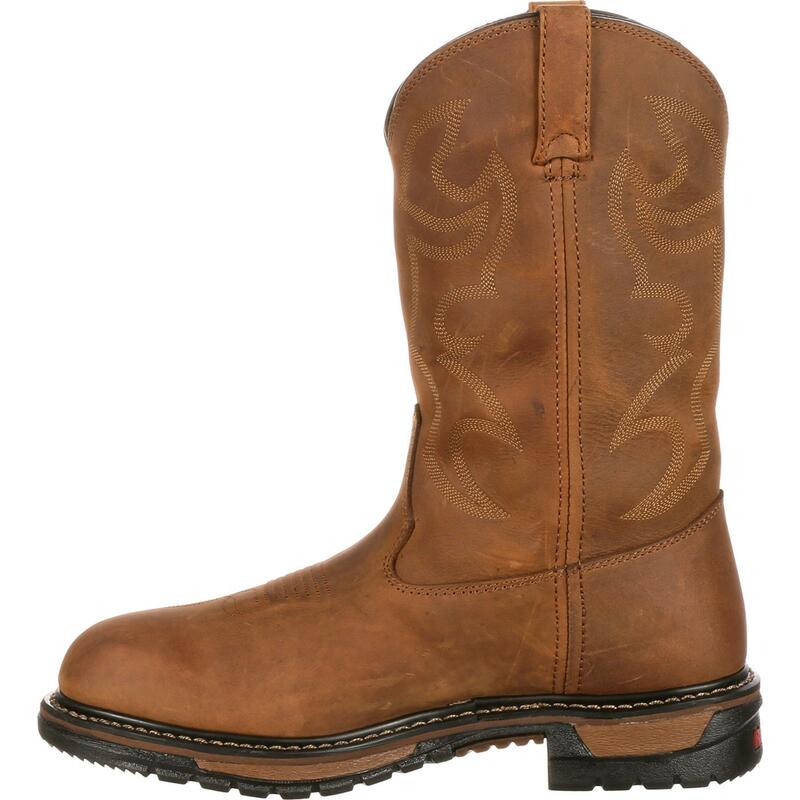 If you want a men's boot that's durable, comfortable and waterproof, this Rocky Original Ride Waterproof Western Boot is the ideal choice for you!